The eighth and final installment of the Harry Potter film franchise is poised to conquer the box office this weekend, so we've decided to take a look at the BIG picture. As we prepare to say goodbye to this beloved series, we've put together a few numbers to gauge the real impact these movies have had over the years. 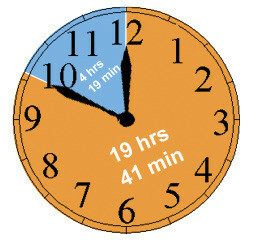 That's how much time passed between the opening of the first movie, Harry Potter and the Sorcerer's Stone, and the final film, Harry Potter and the Deathly Hallows: Part 2. Sorcerer's Stone opened November 16, 2001, and it was an instant hit that got some Oscar love, too. 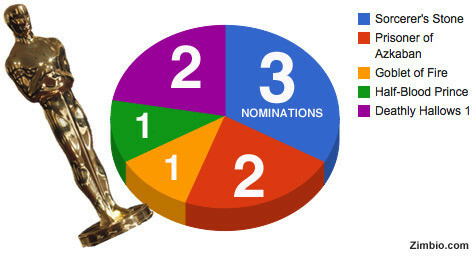 While the Harry Potter films have been nominated for a total of nine Academy Awards, they still haven't won any. Ironically, Sorcerer's Stone is one of the worst-reviewed movies in the franchise and yet it received the most nominations. So far the nods have mostly been in secondary categories like Art Direction and Score, but look for Warner Bros. to push for wider recognition from the Academy for the final film. That's the combined worldwide box office take for the first seven movies. 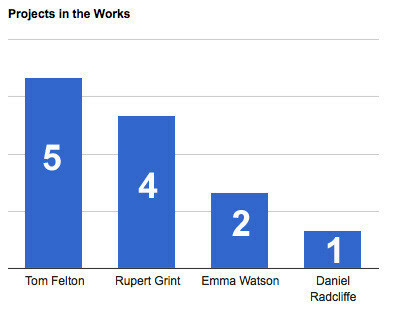 With any luck the final Potter installment will bump that number up a cool billion. Here's a look at each movie's opening weekend box office. The fifth and sixth movies definitely hit a slump, but based on Deathly Hallows: Part 1, it looks like this weekend will be big for the franchise. Even the worst-performing pictures brought big money to Warner Bros., but are the films really any good? Based on critics' ratings on RottenTomatoes.com, they are. 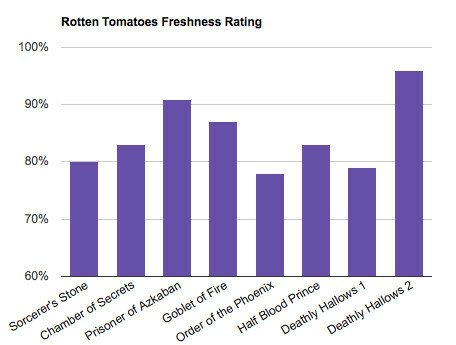 The worst-rated movie of the bunch, Harry Potter and the Order of the Phoenix, still carries nearly an 80% freshness rating. The third film, directed by auteur filmmaker Alfonso Cuaron, was the best received by critics up until this latest installment. 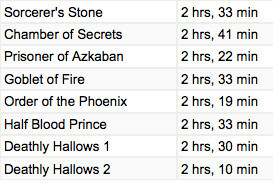 Based on ratings entered so far, Harry Potter and the Deathly Hallows: Part 2 is the best film in the franchise. Feel like going back to see if those ratings are accurate? It'll take you some time. The longest of the eight movies is Chamber of Secrets at 2 hours, 41 minutes, while the shortest is Deathly Hallows 2 at 2 hours, 10 minutes. If you were to watch all of them in a row it would take you 19 hours, 41 minutes. 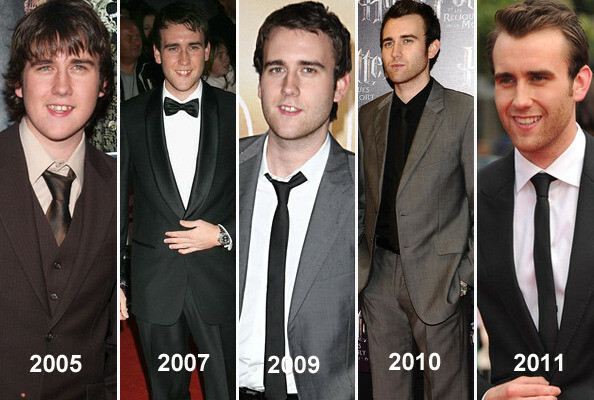 Matthew Lewis has played the bumbling Neville Longbottom through all eight films, but while walking the red carpet for Deathly Hallows 2 it was clear the formerly goofy British lad had grown into a full-fledged hunk. He also stands head-and-shoulders above his Potter co-stars. Here are a few trailers for their next few movies. Look for Tom Felton acting very Draco-like in the clip from Rise of the Planet of the Apes.